This practical guide sets out to put the record straight on the What, When and Why of Church music. When Christians get together the world over they sing. Sometimes with fervour, sometimes in sorrow, often with joy. And yet church music is often the subject of despair for many church leaders and their congregations, and frustrating for the musicians and singers involved. This practical guide sets out to put the record straight on the What, When and Why of Church music. 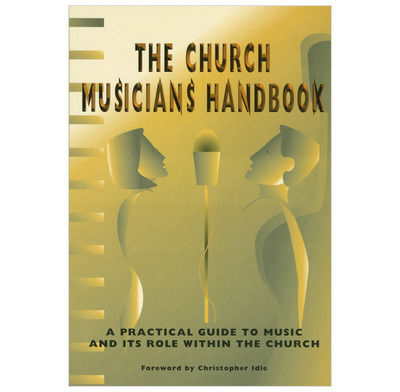 Through a careful examination of the scriptures, insightful Bible studies, and a host of chapters covering the nitty gritty of How, The Church Musicians' Handbook will make an invaluable reference book for anyone involved in 'making music to the Lord'. This book not only tackles the very practical issues surrounding music in our churches, but looks at the heart of the issue - why do we have music in church in the first place. Very challenging book, which actually is relevant for not only "musicians" in the church but indeed all who partake in musical worship even as a member of the congregation. I found the book extremely refreshing, it gives a good overview of the use of music in church with helpful and practical advice for musicians, leaders and anyone else involved in what is usually called "worship".